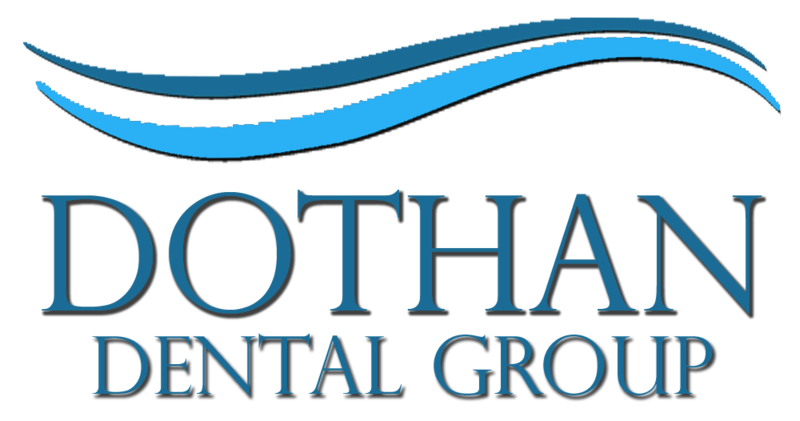 Accidents and illnesses are an unfortunate part of life, and at Dothan Dental Group, we believe that prompt treatment for dental emergencies is a crucial part of providing high-quality dental care. When you have a dental emergency, call our office right away to be seen the very same day so that we can relieve your pain, treat the problem, and create a plan for any necessary future treatment. Many patients who contact our office aren’t sure whether they are having a dental emergency. The answer is actually fairly simple. If you are having pain in your gums or your teeth, you are having a dental emergency. Dental emergencies can include everything from waking up with an abscessed tooth (an serious infection that can spread if left untreated) to a broken crown or filling to having a tooth knocked out or loose during a friendly game of touch football. Call us quickly so that we can provide you with instructions and get you in as soon as possible for prompt and appropriate treatment. What Will We Do at an Emergency Dental Visit? Our goal at your emergency dental appointment is to relieve your pain and treat the problem. Unlike dentists you may have seen on TV or in the movies, real dentists don’t like to see their patients in pain, and we will do whatever we can to get you comfortable. We’ll assess the situation to determine the problem. If a tooth has been knocked out, bring it with you. If we can, we’ll try to replace the tooth. If we can’t, we’ll work with you to come up with another solution, which may include a bridge or dental implant. If you have an abscess or other type of infection, we’ll treat your infection and may prescribe antibiotics for ongoing treatment. X-rays may be necessary to determine the full extent of the damage and will provide us with additional information about how we can best treat your problem. If your tooth is severely infected or damaged beyond repair, we may need to extract your tooth. In this case, we will discuss the situation with you and explain why this is the appropriate response and treatment. While the idea of extraction can be scary, we are skilled in the procedure, and it will be over quickly. We’ll also take every possible measure to make sure you are comfortable and free from pain. We’ll provide you with after-care instructions to help you recover quickly and reduce the risk of complications. If you are having a dental emergency, don’t wait another minute. Call our Dothan dental office today to schedule your appointment with Dr. Matthews or Dr. Prim.